The GSA Ireland Helper and Tracklayer Training and Licensing Event and a seminar on the new IPG rules for 2019 will take place from Friday November 2nd to Sunday November 4th 2018 at OG Waterside, kindly facilitated once again by the club and its’ members. Licensing judge will be Toine Jonkers (SV/VDH/Netherlands). – A SEMINAR on the new IGP rules for 2019 will be conducted on Friday November 2nd from 10am at the Airport View Hotel, Lusk. This will be an excellent opportunity to hear first-hand about the new rules from a top world-level judge before they are implemented in January. – ALL HELPERS wishing to retain their B Licence (club level) or upgrade to an A Licence (national level) are asked to attend both the training and licensing parts, a timetable will be forwarded in due course – attendance is compulsory in order to keep your licence or upgrade. – Helpers must bring their own clean scratch pants and jacket, regulation sleeve and stick. Each helper wishing to licence or re-licence should be accompanied by at least one club dog capable of performing IPO protection routines – this may not necessarily be the dog that they work. 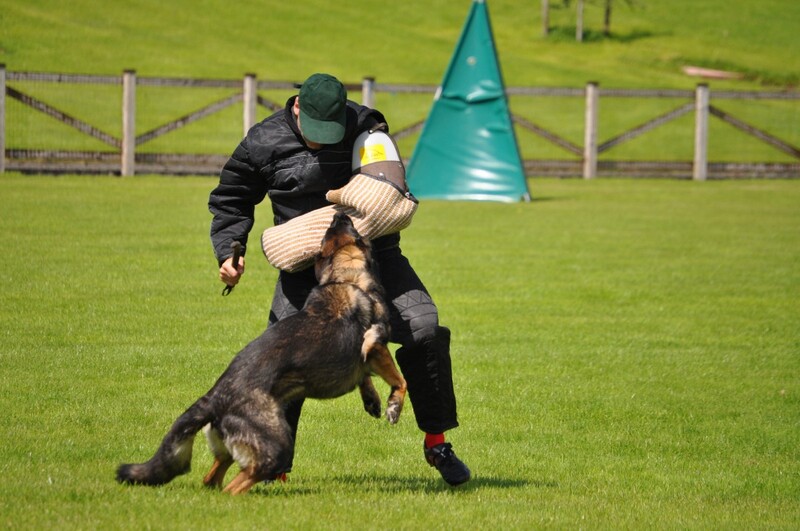 Helpers must also be capable of working young dogs in training and we thank in advance, those handlers who assist the event by allowing their dogs to be used. – Helper training and licensing takes place from 10.30am on Saturday November 3rd at OG Waterside. – TRACKLAYERS may retain their current places on the list, although those wishing to newly licence as B Grade (club level) or those on the B Licence list who wish to upgrade to an A Grade, must attend training. Tracklayers must bring their own suitable footwear, pole, articles and writing materials and have successfully qualified a dog in at least IPOI/FprI. – HOWEVER with potential new rule changes for 2019, we recommend that all helpers, tracklayers and OG Working Wardens attend, to appraise themselves of these changes and hear the advice of a serving IPO judge. – All potential tracklaying and helper licensees should be fully aware of the rules and regulations regarding their respective disciplines. – Tracklayer training and licensing takes place from 10.00am on Sunday November 4th at OG Waterside. ALL attendees for training and licensing – helpers, tracklayers and spectators – MUST be fully paid- up GSA members, endorsed/recommended by their OG Working Warden and a final list should be forwarded to info@gsaireland.com by Sunday October 7th, via their official OG club email address only.